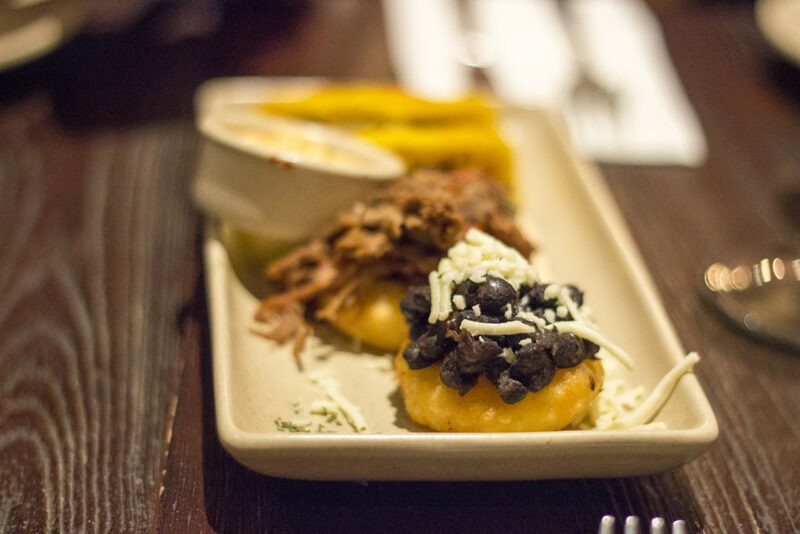 Venezuelan is definitely not a common cuisine here in Perth – but for those in the know, I’m sure they’ll instantly agree that is a delicious treat to devour. 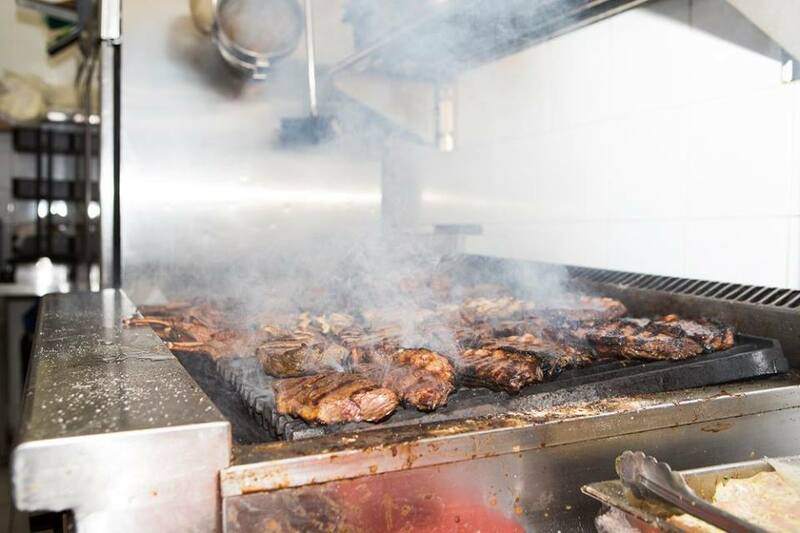 And that’s where Angel Falls Grill brings their real point of difference as the first Venezuelan restaurant in our city located in Shafto Lane. 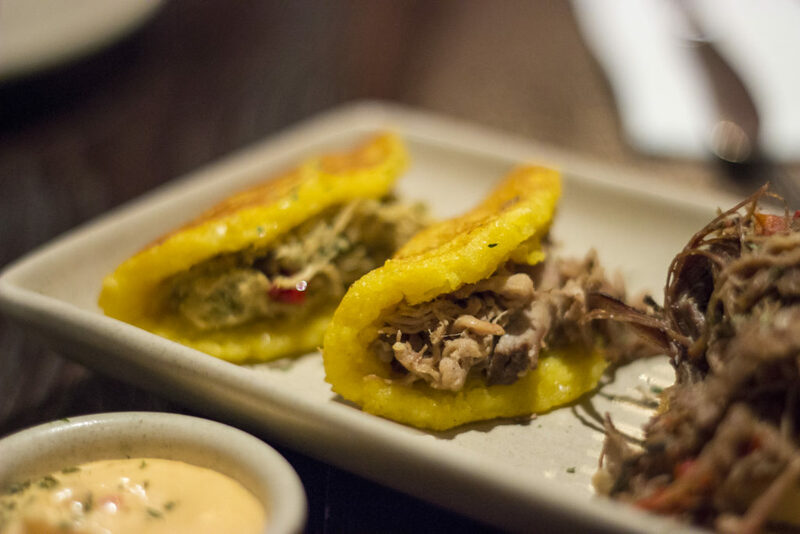 They specialise in tender meats slowly cooked in their smoker then caramelised on a sizzling grill or parilla, plus gluten free corn based products such as arepas, cachapas, and empanadas. Flavour and spice are no stranger, and the serving sizes are pretty damn huge. It’s well worth a visit in my opinion. I went to their new menu launch a couple of months ago, but I’ve also gone with friends on other outings. I love all things corn so the menu ticks the boxes for me instantly. 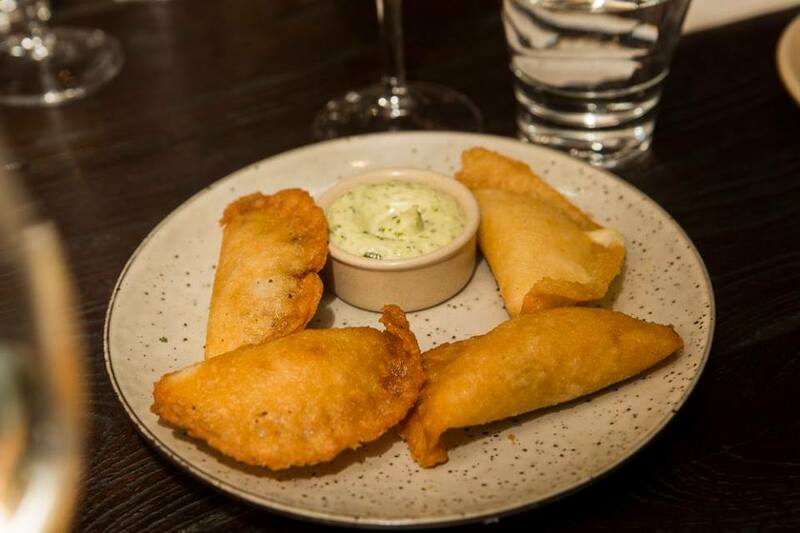 The mini empanadas ($16.00) which come filled with four signature flavours: shredded beef, chicken with bacon and cheddar, beef with black beans and feta, and a tasty combination of cheddar and feta – served with a dipping sauce. My vote is the latter two, mainly because I just love feta and it is in damn good company in the savoury pastry. 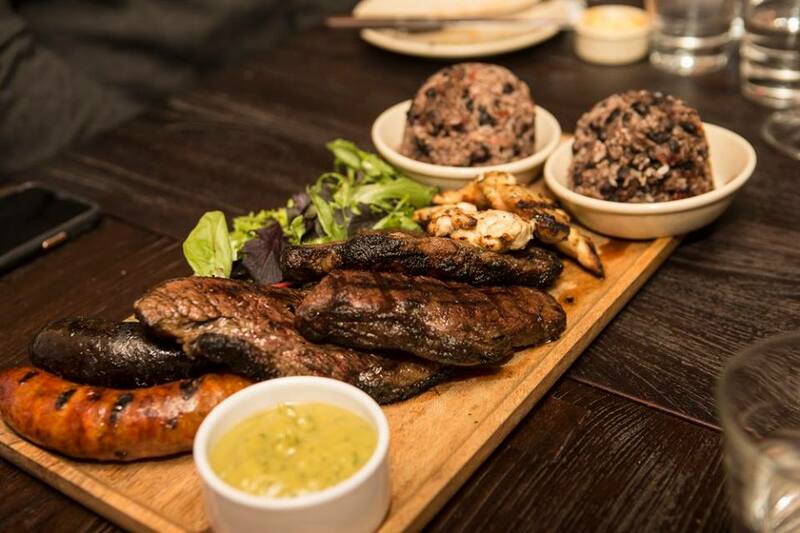 The morci chachapas ($15.00) – traditional morcilla (black pudding) with four mini cachapas and a house made green aioli sauce. 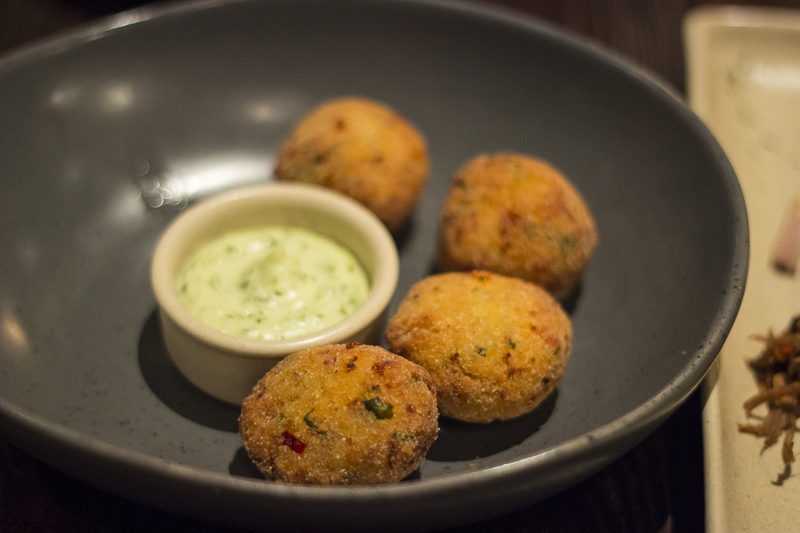 The croquettes ($15.00) made of sweet corn, bacon and cheese, served with the green aioli sauce which I am all about, it packs such a punch. 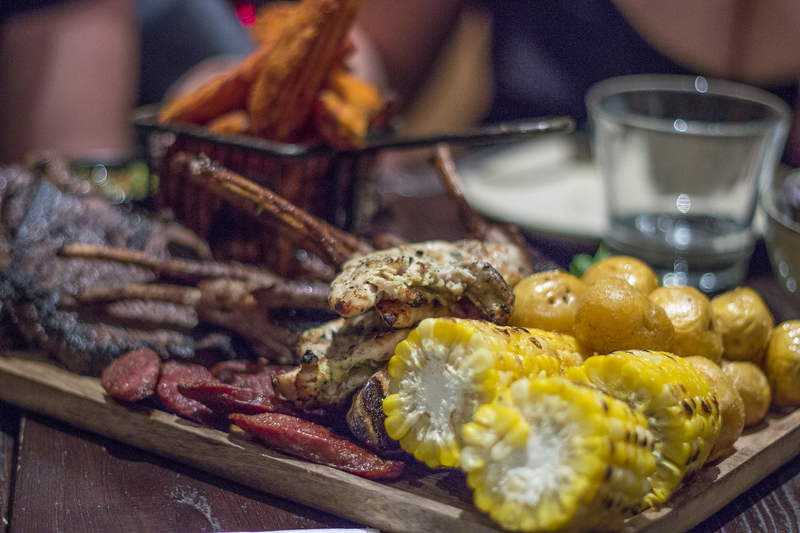 And from the big share platter side of things, the triple grill ($120.00) which is the ultimate meat feast. 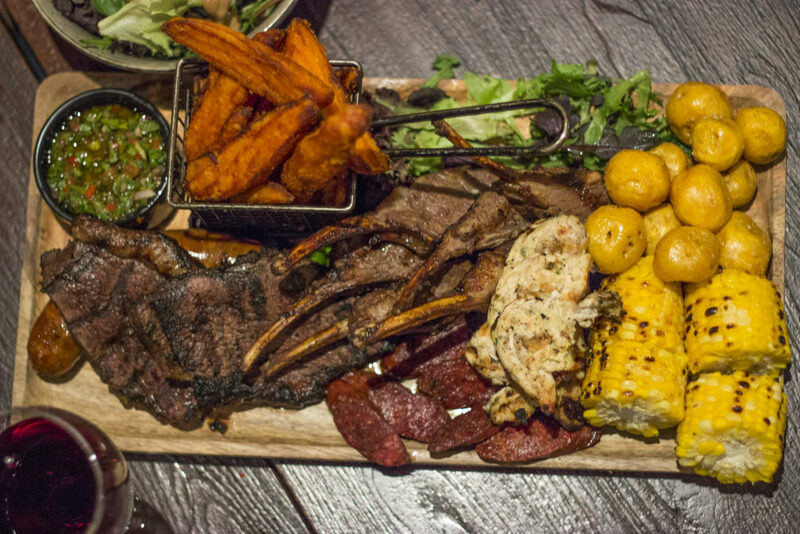 Lamb ribs, rump cap steak, free range chicken tenders, chorizo, chistorra, coleslaw, corn on the cob, sweet potato wedges and chimichurri sauce. What I like about this place is it’s really understated. The food looks honest and is what it is – but you enjoy each and every mouthful. For Jeremy and my guy friends, they love the sheer volume of meat you get (they say the platters serve two but really we’ve fed as many as four) and the way the ingredients get to shine on the plate. If you haven’t tried South American or Venezuelan food, do yourself a favour and head there to check it out. 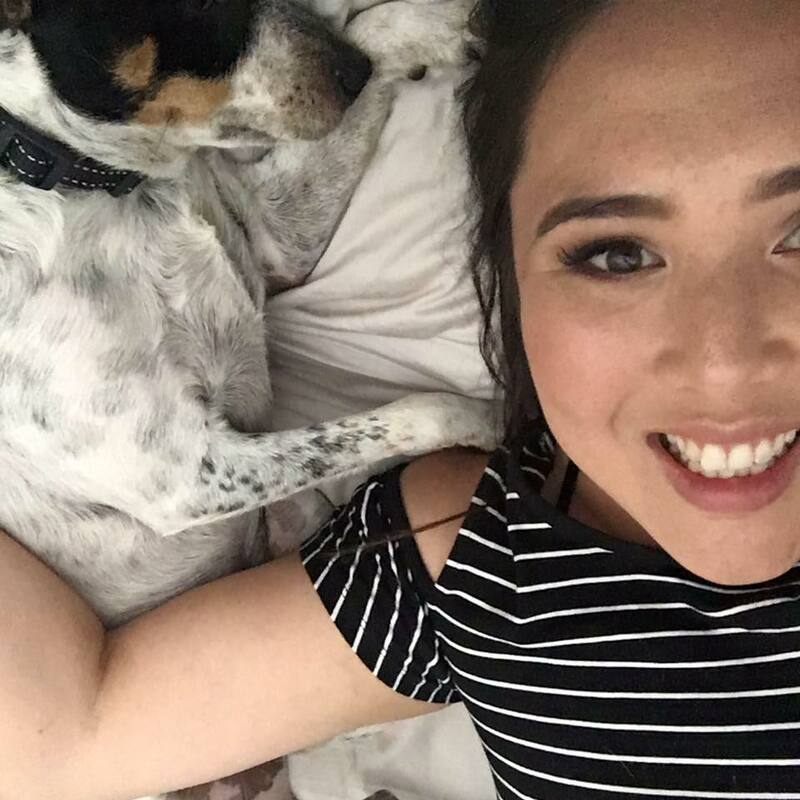 I also hear they’re doing some cool stuff for brunch on weekends (and at a decent price too – no $25 avocado dish here) so I’m definitely keen to head back soon to give that a crack. Any place that puts such an emphasis on corn is my kinda joint, and it’s friend family for my coeliac pals since everything here is gluten free.